As you enter your 30s, you can look back at some of the questionable and straight-out bad eating behaviors of your 20s – poor food choices your body will no longer tolerate the way it did 10 years ago. It’s time to make better food choices so you feel great each day and sustain your health in the future. Here are eight tips to improve your diet as you enter your 30s and beyond. Your best friend should be water. When someone asks if you would like a drink, you should automatically answer with, “Water, please!” Water plays a huge role in your health and appearance, making up about 60% of your body weight and crucial to every system in your body. 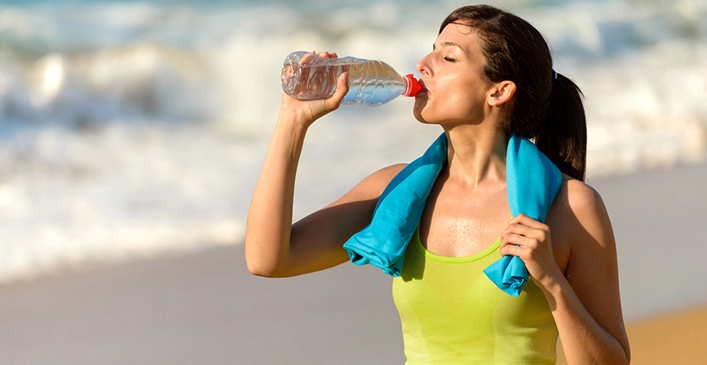 Water helps to regulate body temperature and helps to flush out waste products from organs and muscles. It also helps carry oxygen and nutrients to cells, helps to dissolve minerals to make them accessible to your body, lubricates joints, moistens the tissues in the mouth, eyes and nose, and helps move our bowels and prevents constipation. If you’re still not convinced, proper hydration helps to improve skin health and elasticity, reducing the appearance of wrinkles and reducing dark circles under the eyes. Try drinking half of your body weight in ounces each day. For example, a 140-pound person should aim to drink 70 ounces of water each day.